Anglia Cargo International Ltd offers you a wide variety of services both nationwide or around the globe. Our experienced and trained team will assist you in all aspects of the 9 classes of Dangerous Goods. Anglia Cargo International Ltd staff are certified and trained in AIR, SEA and ROAD modes of transportation and offer a high level of customer care and service along with extensive knowledge of handling Dangerous Goods shipments. IATA AIR Trained for Shippers, Cargo Agents, Operators and Handling Agents in All Classes excluding Radioactive Materials. IATA AIR Operators and Handling agents only for Radioactive Materials. IMDG SEA Trained in All Classes excluding Radioactive Materials. 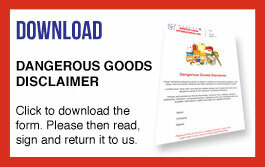 ROAD Dangerous Goods Safety Advisers All Classes by Road.